Execution plan reuse is one of the most important aspects of building well-performing and scalable SQL Server solutions. But it's also the one that is often overlooked during the design phase and becomes very difficult to troubleshoot later. 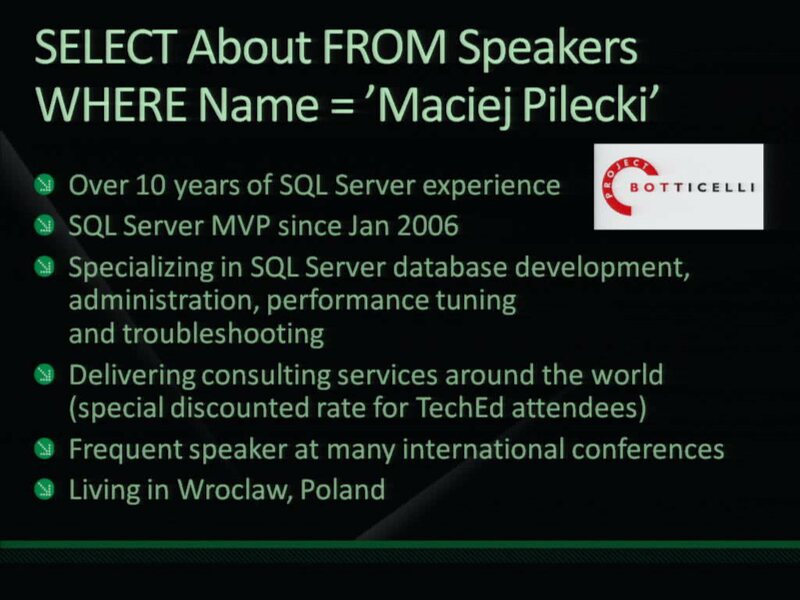 In this session we discuss in detail the following aspects of SQL Server execution plans: compilation, re-compilation, parameterization, caching, reuse, and aging. 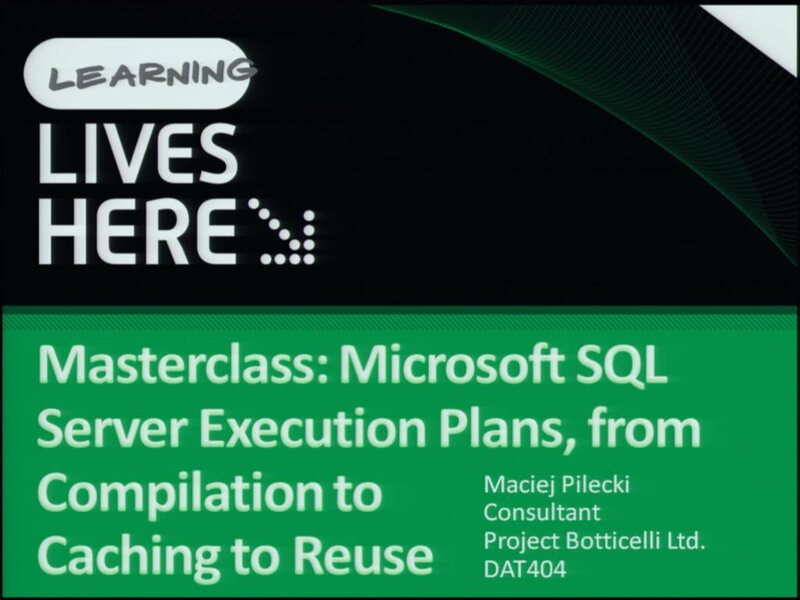 You will leave this session with full understanding of how to improve your server's performance by increasing execution plan reuse (and how to avoid reuse in case this is necessary).